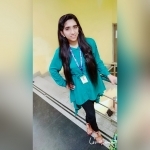 Prabhpreet Kaur from Moga, B.E. - B.Tech Graduate. Prabhpreet Kaur is MBA Fresher and currently have no work experience. MS EXCEL MS POWER POINT. ANALITICAL SKIL LOGICAL ABILITY GOOD MANAGEMENT AND .. HR MANAGEMENT	STAFF ..
are one of expert skill area's of Prabhpreet Kaur . Prabhpreet Kaur is working in Human Resources industry.